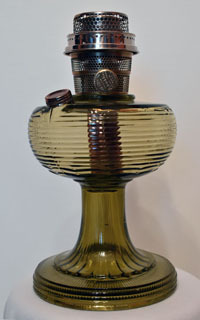 The beehive lamp family is composed of six lamps. 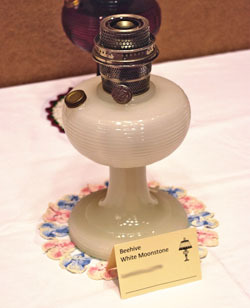 The hardest one to find is made of white moonstone glass and is extremely rare. 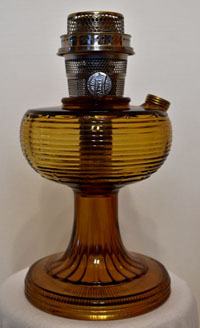 It will forever remain a mystery why Aladdin did not actually market this lamp since it is rather striking in appearance and surely would have been very popular with customers. 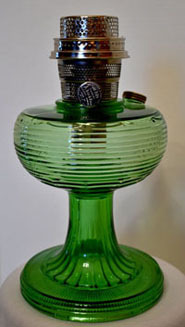 Those that are found were probably prototypes and very few made their way into publice hands. 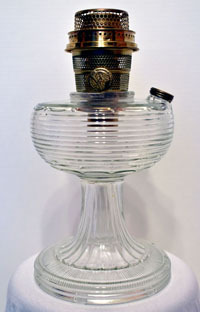 Probably the most sought after lamp in this family however, is the ruby crystal beehive. 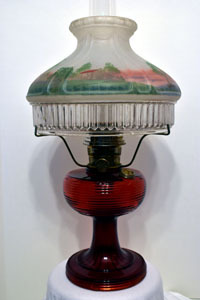 The color of the ruby lamps can very from quite light with an amber cast, to very dark red that almost appears black. The darker the red, the more it seems to appeal to collectors.